Sigma Beauty Blog: Welcome to the Cities! 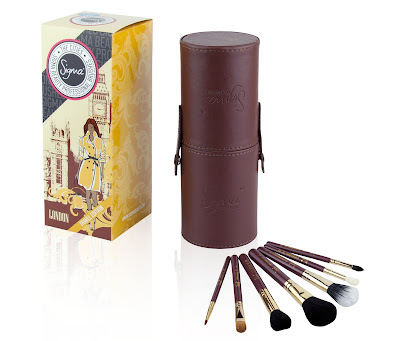 NEW as of today - the limited edition Sigma Beauty Cities Collection brush set! The set features seven travel-size brushes from our best-selling Premium and Essential Kits. The collection is available in four colors, each represented by a trending city. New York features classic and always stylish silver ferrules and black handles, representing this sleek, fashion-forward city. London features unique 18k gold ferrules and chestnut-colored handles, representing London’s poise and elegance. Tokyo features electrifying pink ferrules and handles, representing this metropolis and its trend-setting culture. 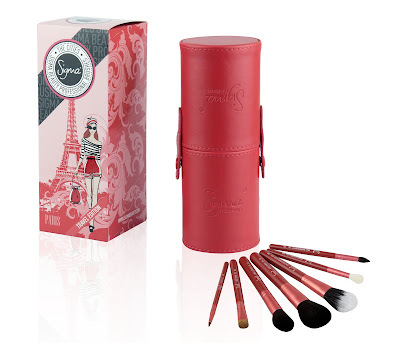 Paris features red ferrules and handles, representing the romance capital of the world. This collection is going fast so make sure to get yours while you still can! Which city set do you prefer? love the Tokyo and London! I LOVE YOUR GUYS BRUSHES..WILL ALL THE BRUSH SETS BE AVAILABLE AT IMATS THIS YEAR?